Every alphabet and its pronounciation have specific meaning; like ku is earth, khE is sky etc. Mantras are frequencies emerging from those sounds. OM is the first and foremost of all mantras. 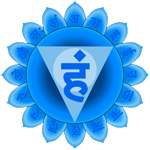 OM is the sound of cosmic energy and contains all the sounds in itself. The spiritual efficacy of OM is heard, not by the ears but by the heart. It surcharges the innermost being of man with vibrations of the highest reality. All galaxies (including ours) are rotating and they sound they make is OM. Frequency of OM is 7.83 Hz , which in inaudible to us as the human ear with 2 strand DNA human cannot discern sounds of frequency less than 20 hertz. Birds, Dogs and few other animals can hear it. 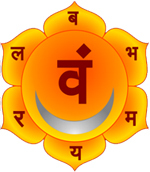 OM has been adapted into other religions as AMEN, 786 ( OM symbol shown in mirror), SHALOM, OMKAR/ONKAR etc, but they do NOT work like the original OM. While OM releases Nitric Oxide, Amen and Shalom only emit a sound. Keeps you Grounded. Connects your feet, to the Earth. Good if can’t make descisions. Emotions, Passion, intuition and creativity. Confidence, Assertiveness, ability to be a stand and say No. Love, Kindness, Compassion, Harmonious relationships. Insight and visualisation. Opens up your perecetive physic ability. Wisdom. Connecting you to your higher Self and spirituality. 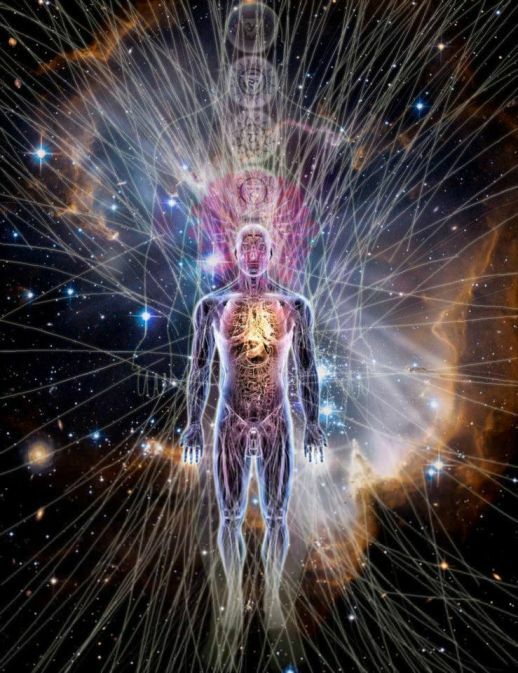 Astral projection, Inter galactc travel, higher spiritual powers, timelessness, language of light etc. The anuswaram (nasal sound) MMMM humming boosts the production of Nitric oxide in the body. This was known to Indians and documented more than 7000 years ago. Nadaswaram (Shehnai) is an ancient musical instrument which produces similar nasal sound. OM opens up quantum tunneling, where the wormholes do NOT have a restriction of speed of light. The secrets of this universe are contained in energy, frequency and vibration. If you make the sound of OM in front of a drop of liquid, it will transform itself into a Sri Yantra which is very specific visual form which is symmetrical and also holographic, in that every bit of it contains all of it. This Sri Yantra was revealed to Maharishis with 12 strand DNA and king sized pineal glands more than 8000 BC. 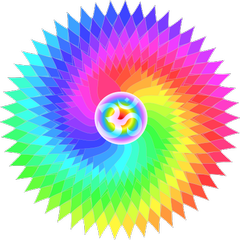 Sanskrit Mantras have precise golden ratio of 1.618 sound harmonics ( Fibonacci/ Sri Yantra ) in digital mathematical and geometrical precision and Sri Yantra is based on that ratio. The cymatics of OM is the Sri Yantra whose angle is used to construct the Egyptian Pyramids. 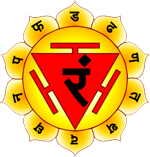 All Beej mantras end with Anuswaram MMMM , which produces Nitric oxide, which is a molecule that our body produces to help its 50 trillion cells communicate with each other by transmitting signals throughout the entire body. People with diabetes usually have lower levels of Nitric oxide than those without diabetes. Stems and Flowers cut from their original plants can survive for longer time if supplied with Nitric Oxide. Opiate drug Morphine , the addictive pain killer, works by an increase in Nitric Oxide release. Nitroglycerin and Amyl Nitrite tablets serve as vasodilators because they are converted to Nitric Oxide in the body, to ease angina pain (heart pain). Viagra also works due to its action on Nitric oxide. Sufficient amounts of Nitric Oxide in blood controls Blood Pressure. When the human body reaches the age of 27 years, the secretion of nitric oxide is at its peak. As you get older and the production of nitric oxide in the human body declines gradually, more from age 42 onwards. Researchers have found that frequencies under 7 Hz create a general feeling of relaxation and well being, known as the alpha state. The most beneficial frequency on earth is said to be the 6.8 hertz frequency. Interestingly, the Pyramid at Giza has a constant frequency of 6.8 Hz running through it. Although researchers have studied it, they don’t know where it comes from or why in such an ancient structure. Mantras Frequencies that can kill ! Atharva Veda describes Mantras formed by assembling beej syllables in a certain order and they can cause mass destruction, killings, depression etc. Most of such destructive science existed before Kurukshetra war in 3100 BC and people who had that knowledge were killed in that war to prevent misuse of such mantras in Kaliyug. Not only could certain results be attained by the proper use of vibrations in sounds, but even today the use of particular mantras are known for calming the mind, lowering blood pressure, relieving one from unnecessary anxieties by changing one’s focus in life, and so on. It is also understood that certain mantras and prayers, such as the chanting of the spiritual names of God, bring to one the transcendental vibration of the spiritual world from where it comes. This means it is like a conductor, bringing the spiritual energy and frequencies that come from the transcendental strata. One of the classic mantras for this use is the Hare Krishna mantra (Hare Krishna, Hare Krishna, Krishna Krishna, Hare Hare / Hare Rama, Hare Rama, Rama Rama, Hare Hare). 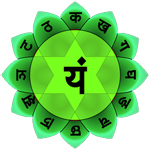 Experiments have already been performed that show the changes in those who regularly use this mantra. Sages of India have used this mantra successfully for centuries in order to reach spiritual states of being. Chromosomes that are damaged by X-rays or exposure to UV rays, can be repaired by simply applying vibration and language, or sound combined with intention, or words, to DNA ! This was known to Indian sages more than 12000 years ago. Our DNA has remembered all the things that ever happened to human beings. DNA is the source for all the proteins that repair cells , build new ones, replace missing or defective pieces of the genetic code , heal cuts and bruises and so forth. Everything you do, think, speak, run , play guitar or rule a country depends on a capacity programmed into one original molecule. Each cell of the body contains all of DNA’s infinite possibilities all of the time, from the moment of conception till death. DNA can send and receive powerful data through a universal network of ether.. Mobuis supercoil DNA can generate scalar waves. Negative emotions affect DNA signalling. The bridge connecting the galactic resonances which rain down on our planet and brain frequencies reside in our DNA helix. Vedic Astrology can calculate 36 points to match DNAs of a couple before their marriage. 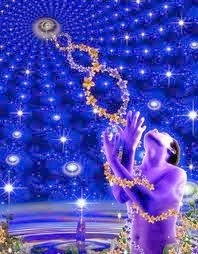 When you meditate you tune your DNA to the subtle quantum level matrix. Energy transfer to the molecular level powers your metabolic processes.